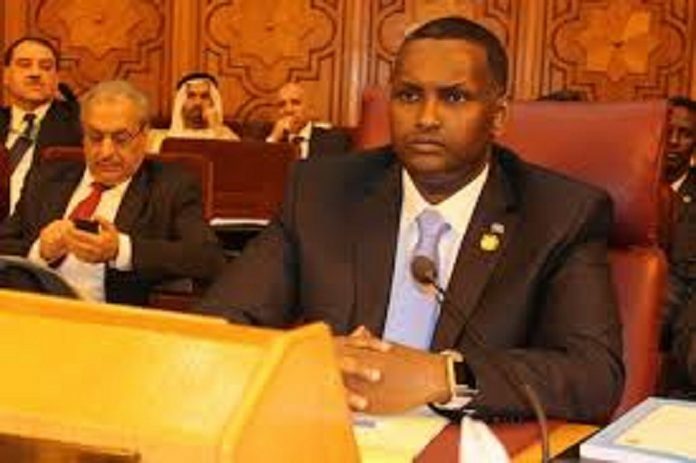 Sunatimes.com - Somali MP Mahad Salad says he has been fired on board by police soldiers, while heading to the country's parliament headquarters in the capital of Mogadishu. Hon. Salad says he informed police soldiers his identities and where he was heading to, but said police soldiers opened bullets and ordered him to return back. Mahad Salad said he held talks with police boss, saying police boss had promised that he would take firm against the soldiers, who involved his case. Somali police and security forces have been deployed and being visible the main streets in the capital of Mogadishu, as the capital hosted high-level delegation from Ethiopia and Eritrea. The Foreign Affairs Ministers of Eritrea, Osman Saleh, and Workneh Gebeyehu, Ethiopia have on Wednesday arrived in Somali capital Mogadishu. The visit paid by Ethiopia and Eritrea’s delegation to Somali capital is seen as the latest sign of strengthening of relations across the Horn of Africa.